Chicago bungalows have been a staple in the Chicagoland area since 1910. These homes typically have one and a half stories with nice big windows and a full basement. 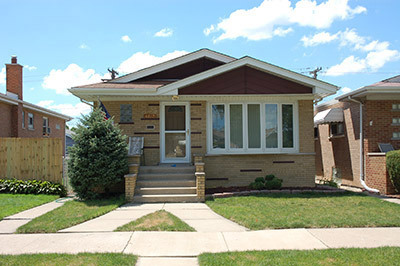 Almost no other style of house distinctly says “Chicago” like a solid brick bungalow. 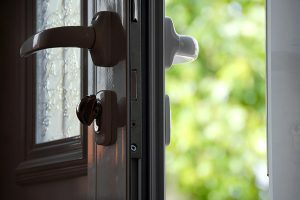 When it comes time to update your bungalow in Chicago, which windows and exterior doors will you choose? 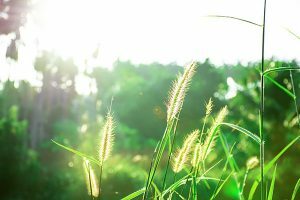 In this article, we’ll go over what some of your options are and make some suggestions of our own for bringing your Chicago bungalow home into 2016 and beyond! Bungalow style homes are known to have large windows. In the old days, the only option most Chicago homeowners had were single pane wood windows. Some might say that those old windows held a certain “charm” on these old brick homes. Wood windows in bungalows certainly had some charm – and some drawbacks, especially as these homes grew older. Rotting and warping wood, major drafts and constant maintenance were common as time went on. Of course when replacing bungalow windows, your first choice might be to get new wood windows to maintain the “character” of your home. However, is the perceived “charm” of wood worth the additional expense and maintenance vs. a modern vinyl replacement window? Replacement vinyl windows not only require very little maintenance but they also can mimic the look and feel of wood. There are many color and style options available, even with very realistic faux-wood finishes. 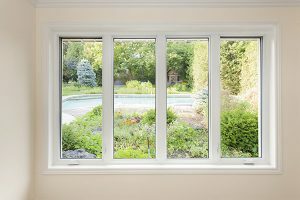 We think vinyl windows are the perfect replacement window for Chicago bungalows for these reasons. Of course with classic homes, there are classic windows. 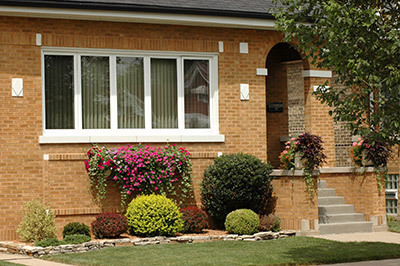 Here are some of the more popular replacement window styles for bungalows in Chicago. The classic “up-down window” for Chicago bungalows is the double hung. Double hung windows consist of two sashes (or panels of framed glass) that move up and down. One thing that you couldn’t do in the heyday of Chicago bungalows that you can do now with modern double hungs is tilt them inward to clean them while inside your home. Inoperable windows or “fixed” picture window play a pivotal role in the look of a classic bungalow. They’re usually flanked by casement windows or double hungs. Casements add ease of operation and elegant style. Usually part of a side by side configuration with picture windows, casement windows can be opened to let fresh air into the old neighborhood bungalow homes. Casement windows are also called “hinged” or “crank” windows since they hinge open from the side and you open them with a convenient crank. Another hallmark of a classic Chicago bungalow is the door. When these homes were originally built nearly a century ago, they had very sturdy solid wood doors. Some of those doors are still around today! A solid wood door like the original bungalow entry doors will cost upwards of $4,000 today just in the door alone. That’s not including installation of your new door in Chicago. Here’s our suggestion: buy a fiberglass entry door with wood grain finish as an alternative. You keep the classic looks of your bungalow’s original front door while replacing it with a brand new, energy-efficient alternative that will last just as long as the old solid wood doors of yesteryear. If you want to save some money and keep the insulating properties of a modern door, then get a steel entry door. They’re available in a wide variety of colors to make your bungalow stand out and add curb appeal. Plus, many steel doors also offer wood-grain finishes to maintain the classic look you want to keep with your bungalow! There’s nothing better to protect your bungalow’s front door than a beautiful storm door. In the old days, those wooden front doors in Chicago neighborhoods took a beating from the rain, wind and snow courtesy of the crazy Chicago weather patterns. That doesn’t mean that you have to let the same happen to your front door. Glass storm doors or better yet, storm doors with interchangeable glass and screens are perfect for city bungalows. You can keep the glass up in the winter as added insulation and add screens in the summer to let in a nice breeze for when the weather is warmer. Replacing windows and doors in your Chicago bungalow can add value, energy efficiency and dramatically improve the curb appeal of your classic Chicago home. 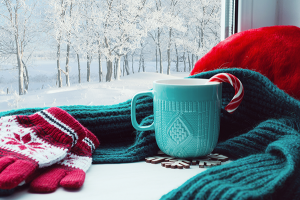 We recommend replacing old windows with vinyl to save money – on the price of the windows and also in the long run in terms of your heating and cooling bills. For doors, you can’t go wrong with a beautiful new fiberglass entry door for your bungalow or even add a storm door for added beauty and protection from the elements. We like modern wood-grain finishes available on our durable fiberglass entry doors to keep a classic look.